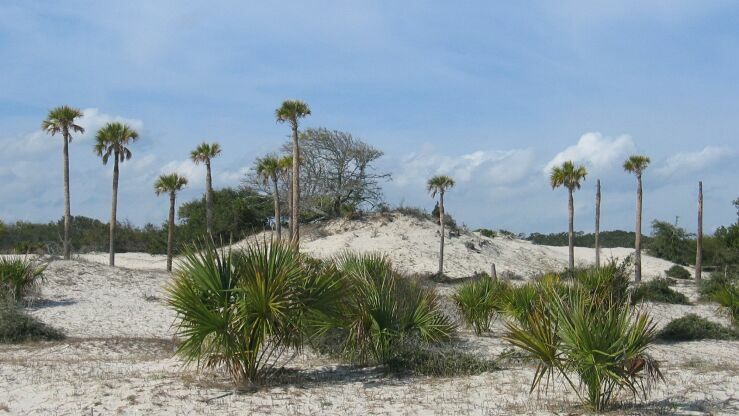 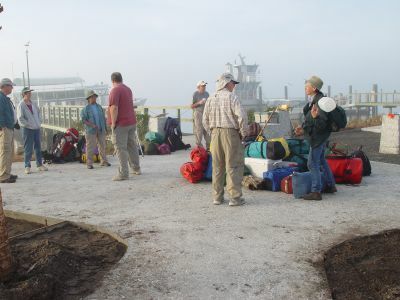 Fifteen GWS members enjoyed balmy weather during January on Cumberland Island during early 2005. 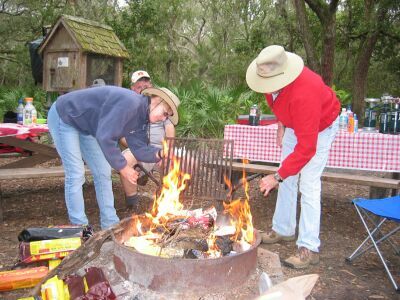 The days were well into the mid to upper 70's and sunny. 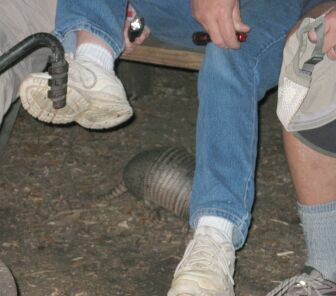 We spotted the usual collection of critters.....various shorebirds, feral horses, a raiding raccoon, and of course the armadillos...including one that was underfoot in the campground. 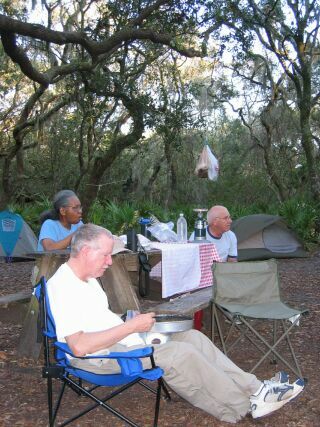 Barbara, Tom, and Ron watch as Edda and Mike wrestle with the grill before supper. 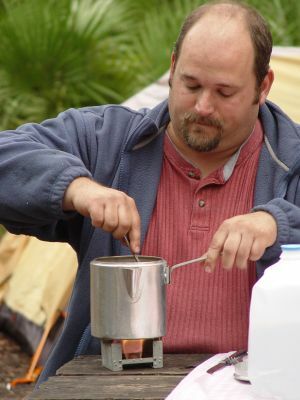 Below, Chris gives his supper a stir.